Batman Magazine is a must have for every Batman fan, and is full of heart thumping stories from your all time favourite superhero. Buy a single copy or subscription to Batman magazine. Batman has been in a comic format since 1939. From the first, Batman was a hit. 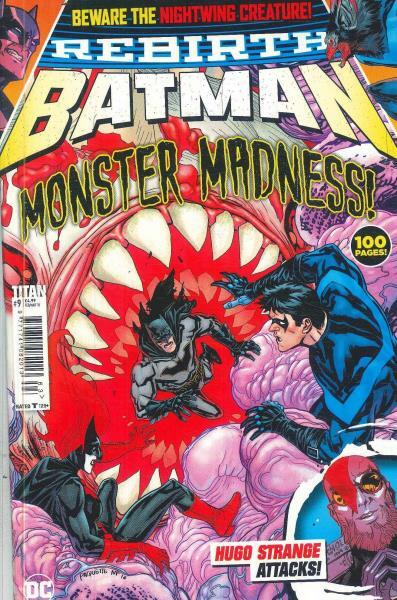 Batman has been in a comic style series ever since. Robin, Batman’s sidekick appeared early in the series, in 1940. The original story of Batman is about Bruce Wayne the billionaire who becomes Batman, the super hero, to fight crime in Gotham City. The story has pretty much stayed the same since the beginning of the saga. Gotham City at the beginning of the Batman story is beset by criminals and thugs who are taking over the city. After witnessing his parent’s murder as a young child, Bruce Wayne spends his growing up years learning skills to fight crime.